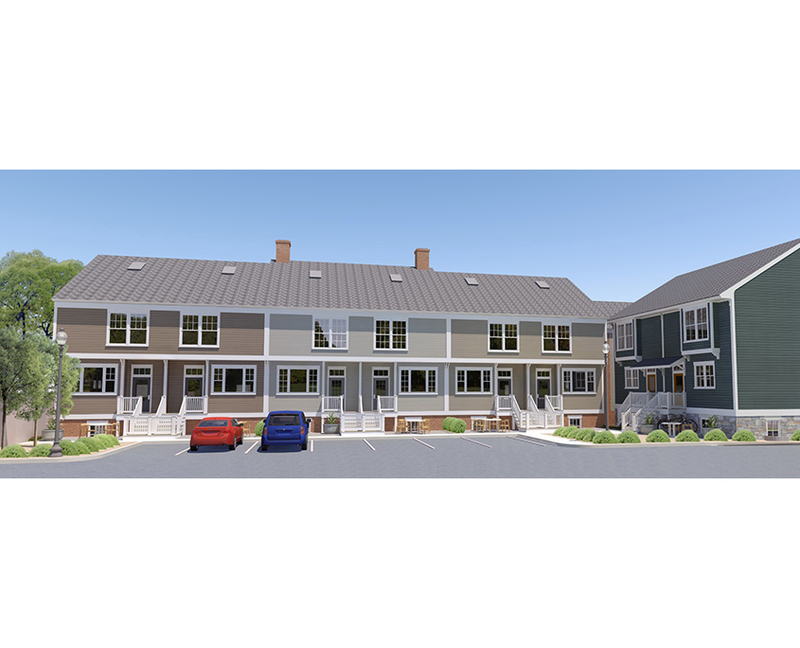 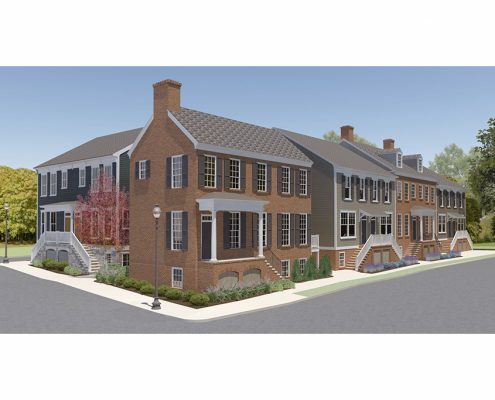 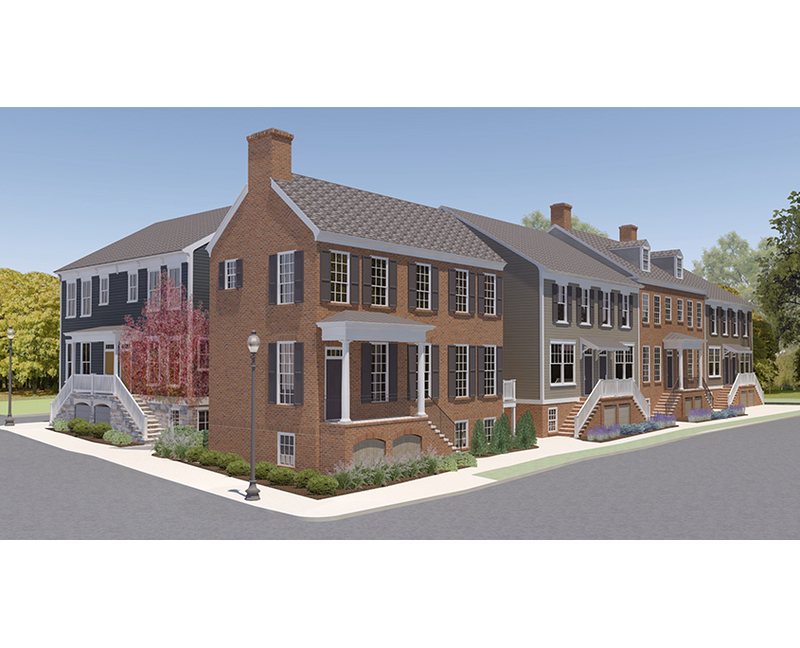 Oakcrest Builders in Winchester commissioned Frazier Associates to design a block of townhouses on a vacant lot located on the edge of the City’s historic district. 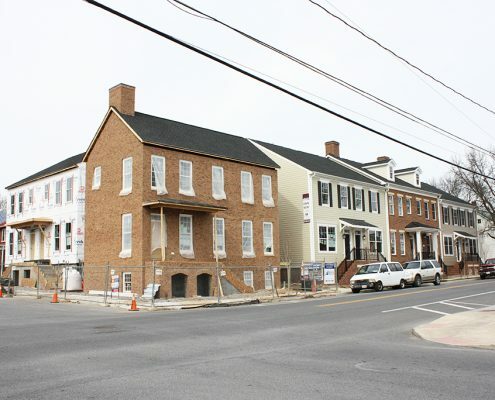 The design complements the surrounding historic residential structures, while being distinguishable as new construction. 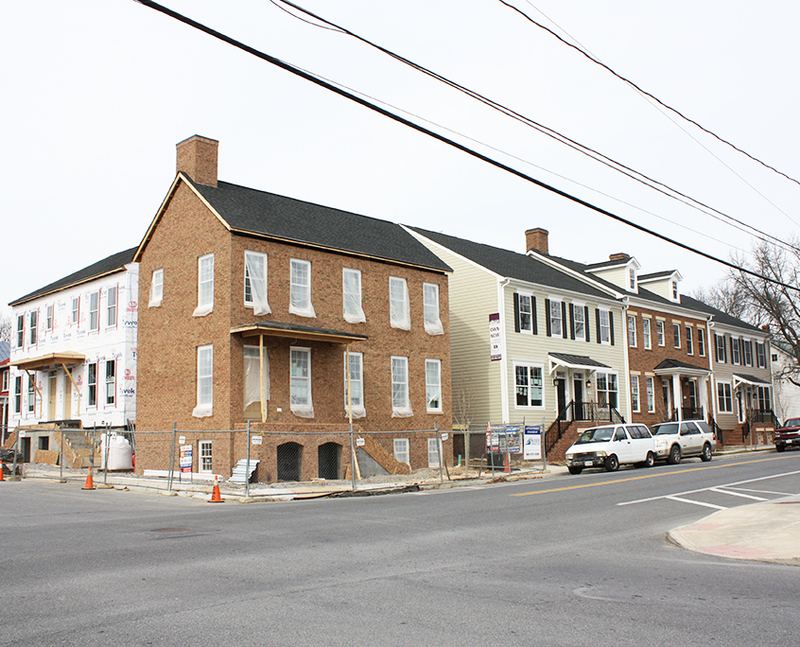 The buildings feature traditional architectural details and materials, and are also compatible in scale to the adjacent district buildings. 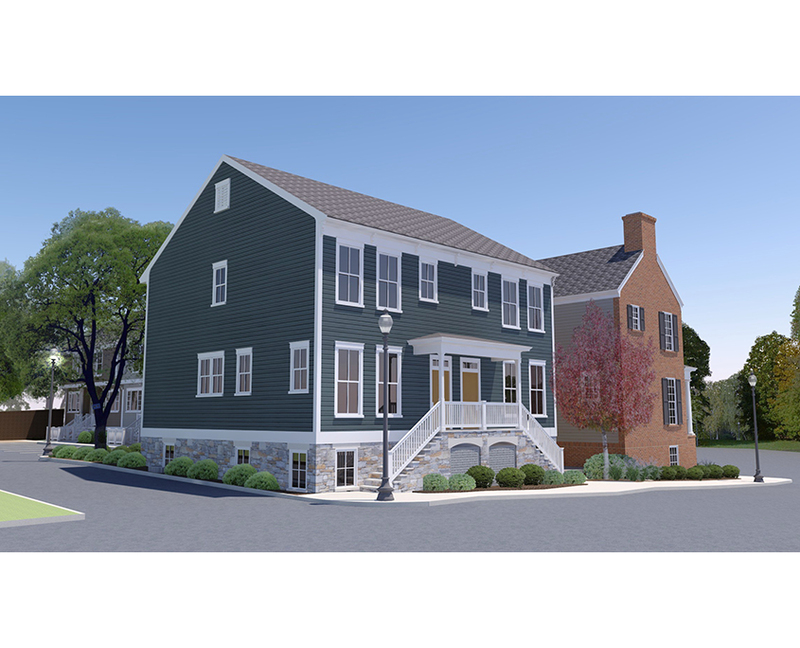 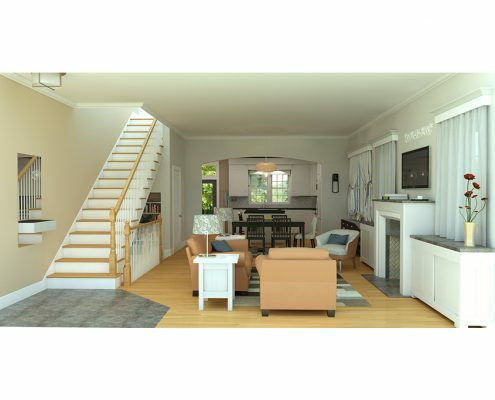 Frazier Associates created these architectural models using Google SketchUp and Podium V2 as part of the design process. 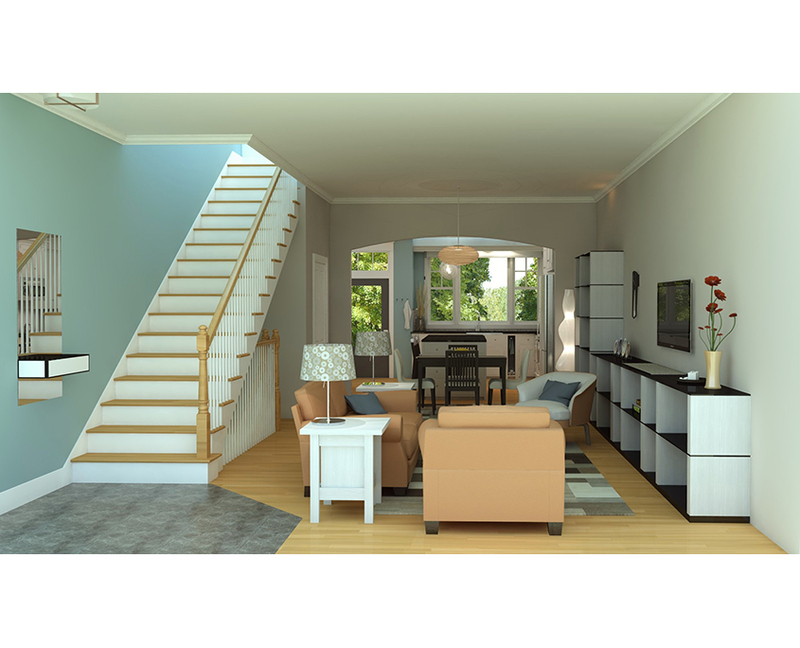 The computer models provide more photo-realistic renderings, which can be used by the client for marketing and promotional materials for the project. Details, massing and materials are illustrated in this SketchUp rendering.